As I was getting ready to write this post, I initially couldn't think of a topic. After a long drive taking my kids to their dad's and then home again, I came up with a brilliant idea. By the time I was in a position to write it down, my mind was completely blank and I couldn't think of anything to write! Ideas can come in the strangest of moments, usually when they are least expected. Often they can disappear just as quickly. Sometimes they can be caught and used, and other times they refuse to be pinned down. I must admit to being a little bit jealous of those authors who can just sit down and write no matter what else is going on. Whenever this happens, I know I need to be kind to myself. The ideas will come again, the words will be added to my manuscripts, and books will be published. I need to be patient. Sometimes, I need to put whatever brilliant idea I thought I would be working on to one side, and work on something else for a while. I can always go back to the other idea when it comes back again. I'm not going to beat myself up about the brilliant blog post idea I thought up while driving. I'm sure it will come back, instead, I'm sharing this one. 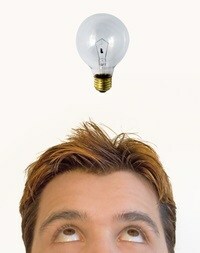 Ideas will come and go, and sometimes we have little control over them. They don't always come when you want them to... But ideas will come. And if they don't? Then just write about the fact that they're not coming, you never know what the results will be! 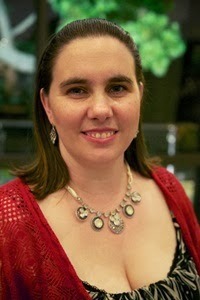 Melissa Gijsbers is a Melbourne based author and the mother of two teenage boys. She has three published middle grade novels. I have to keep pen and paper by my bed, and in my handbag, for moments like these. I tend to find inspiration comes when I’m relaxed, so it’s good to be prepared!